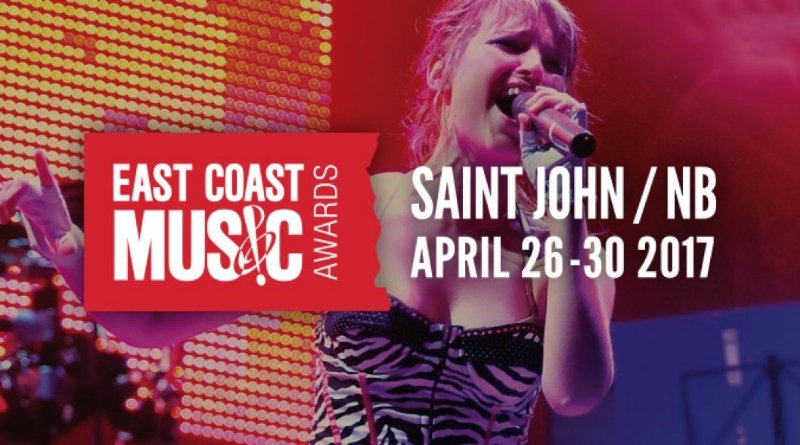 Awards and stages submissions for the 2017 East Coast Music Awards: Festival & Conference in Saint John, NB April 26-30, are now open! The deadline to submit is 5:00PM AST on Monday, October 3, 2016. ECMA is pleased to be working with Marcato once again for the submission process. The ECMA is accepting award submissions in Music, Industry and Honorary award categories. There are no submission fees for the Industry Awards; so feel free to nominate that special someone who has made an impact in the industry. We have made several significant changes to the eligibility criteria as well as the jurying criteria to many of our awards. Please be sure to refer to the 2017 East Coast Music Awards & Stages Manual for full details. The eligibility period for the 2017 ECMAs is from June 1, 2015 to October 1, 2016. Recordings must be released on or before October 1, 2016. Showcase eligibility periods are specified on pages 7-12 of the 2017 Awards & Stages Manual. ECMA members in good standing will receive one free category submission, with subsequent category submissions costing $25. You do not need to be an ECMA member to submit for an award or showcase; however, submission fees are higher for non-members: $40 per category. If nominated or chosen for a showcase, you will be required to register as an ECMA member before the 2017 ECMAs. Member Submission Form: Log in to your ecma.com member account and find your submission form under “Submissions” from the MyECMA drop down menu. (see image below). This submission form will give you one free category submission with all extra submissions costing $25. If you use the non-member form, you will be charged $40 per submission and will not receive a free submission. Non Member Submission Form: CLICK HERE for your form. Each category submission will cost $40 with the exception of Industry Awards, which are all free to submit to. The Awards & Stages Manual for the 2017 ECMAs is available here. We recommend everyone use it as the complete reference guide for all awards (music, industry, honorary) and stages. For those who prefer more light reading, ECMA is pleased to offer a get to the point Fast Facts guide, in both English et en français. It’s the perfect introduction before reading the complete Awards & Stages Manual. The English Fast Facts is available here et le guide rapide des prix et vitrines est disponible en français ici. We still recommend that you check the full Awards & Stages Manual for specific categories you’re interested in applying to so that you know all the eligibility and jurying criteria for that category. – Artists who have participated in the Export Buyers Program in 2016 (both on the Two For the Show and Canadian Music. East Coast Style. Export Buyers Stage) are now eligible to participate in the 2017 Export Buyers Program so long as they meet all other criteria. – The Roots/Traditional Solo Recording of the Year and Roots/Traditional Group Recording of the Year categories have been combined. The new category will now be called Roots/Traditional Recording of the Year. – The Aboriginal Artist of the Year and Bucky Adams Memorial Award(Formerly African-Canadian Recording of the Year) will no longer require a full album to be released for artists to be eligible. Instead, artists will be scored primarily on artist activity during the eligibility period (press, marketing, performance activity) and will need to submit 3 songs that have been released within the past 2 years. – New eligibility criteria has been created for the Album of the Year, Song of the Year, Solo Recording of the Year and Group Recording of the Year categories. Artists will need to meet two out of the four following criteria: substantial video plays, substantial social media following, an international and/or cross-Canada tour within the eligibility period, and national media coverage during the eligibility period. Please refer to pages 4 & 5 of the Awards & Stages Manual for a full list of changes. Most music award submissions require you to submit both a streaming link and a download link for your full album – if you don’t already have a download link for your album, we recommend Dropbox since it’s free and easy to use. Please use this guide to learn how to upload your album and how to copy the proper link to include with your submission. If you have any questions about the Awards & Stages Manual, or would like to set up an appointment to receive assistance with your submission, please contact Chantal Caissie, Artist & Member Relations Manager via email: chantal@ecma.com or phone: 800.513.4953 ext 226 or 902.423-6770 ext 226.